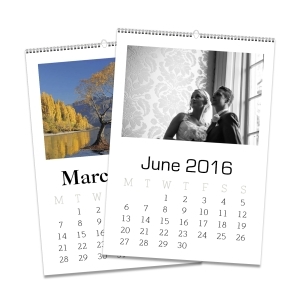 A5 Wall Calendar printed on 200gsm gloss paper, wire bound along top edge with calendar hook. 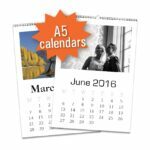 A3 Wall Calendar printed on 200gsm gloss paper, wire bound along top edge with calendar hook. A4 Wall Calendar printed on 200gsm gloss paper, wire bound along top edge with calendar hook.